Thousands auditioned, almost 200 made it to Hollywood and after weeks of cutting the fat, the remaining contestants represent the best this country has to offer. Ha! Try saying that with a straight face. 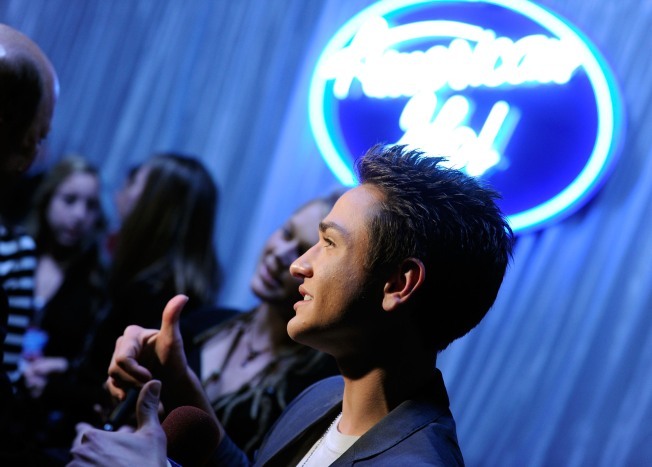 Thousands auditioned, almost 200 made it to Hollywood and after weeks of cutting the fat, the remaining “American Idol” contestants represent the best and the brightest young vocal talent this country has to offer. Ha! Just try saying that with a straight face. As anyone who’s actually followed the competition so far this season already knows, this band of mostly mediocre singers fails to represent the best of their own so-so early ranks, much less the best of the national talent pool. And despite the handy excuses Simon Cowell and his fellow judges insist on making for them week after week, the problem isn’t about song selection or a particular vocalist’s need to find his or herself musically. It’s not about being “a little pitchy” or having an “off night,” either. It’s about the ability to sing — or more to the point, the lack of it. Of course, Cowell and the gang can’t simply say that. They can’t follow a string of back-to-back bad performances with a snappy, “Sorry! We made a mistake. Several of you shouldn’t even be in this competition.” So good or bad, the show must go on. Not that there’s a whole lot of good to worry about. Well, in fairness to this mass of “meh” singers, there are a couple of standouts among them. Someone has to win this, after all. But even those potential finalists (I’m looking at you, Siobhan Magnus and Crystal Bowersox) must realize that the stiffest of their real competition already took their final bows. That’s what makes this boring selection all the more disappointing — it could have been somewhat better. Rather than reaching for an all-time low, this season could have merely ranked with past not-so-hot efforts. (Hey, season six!) But no, thanks to some head-scratching early ousters, it’s shaping up to stand alone as the worst, complete with a “Got talent? Get lost!” theme. If the Hollywood cuts weren’t bad enough, just look those eliminated in the post-top 24 days: Lilly Scott, Katelyn Epperly, Alex Lambert and Todrick Hall. Sure, they didn’t exactly have the potential to become the next Kelly Clarkson or Carrie Underwood. They lacked the chops to stir up a Kris Allen vs. Adam Lambert-like frenzy. But they could undeniably out-sing that mop-topped Tim Urban any day of the week. Yet second-chance Urban is still in it. It’s as if the tradition of whittling down the contestants to a more targeted and talented group has been swapped for an “oh, they’ll do” approach. That may explain why some of the remaining competitors deserve more notice for their subcompact-car decorating skills than their singing — and after seeing Lee Dewyze’s peekaboo flannel hood design, that’s really saying something. Awkward adventures in product placements and Urban’s presumed deal with the devil aside, maybe there’s still hope for the problematic bunch. Maybe it’s too soon to write off most of the would-be “Idols.” Or maybe not. Usually, by the time viewer votes have the final say, there’s a nice mix of good, great, bad and unbelievable. Sure, some contestants offer up surprises and improve with experience. Some take unexpected turns for the worse. But there’s almost always a few that really make the competition exciting from the start. And that’s where this current group is really lacking. Without Clarksons, Underwoods, Allens or Lamberts — heck, without even a Hudson, Daughtry or an Aiken in the mix — there’s just no oomph, no thrill, no reason for anyone other than the most ardent “Idol” megafans to exercise their dialing fingers at all. Yes, every now and again Randy Jackson or Ellen DeGeneres might boast about someone putting on the best performance in the competition, but that almost sounds like a backhanded compliment at this point. The finest so-so singer isn’t that great. It all adds to the feeling that this season of “American Idol” might as well be the last. With Paula Abdul long gone and Cowell on his way out the door, “Idol” needs big talent to keep viewers coming back for more. If this batch is the best “Idol” has to offer, TV’s top spot could soon have a vacancy. When Ree Hines really wants to hear some bad singing, she grabs the mike and hits the karaoke stage. Bring your earplugs and join her on Twitter at twitter.com/ReeHines.